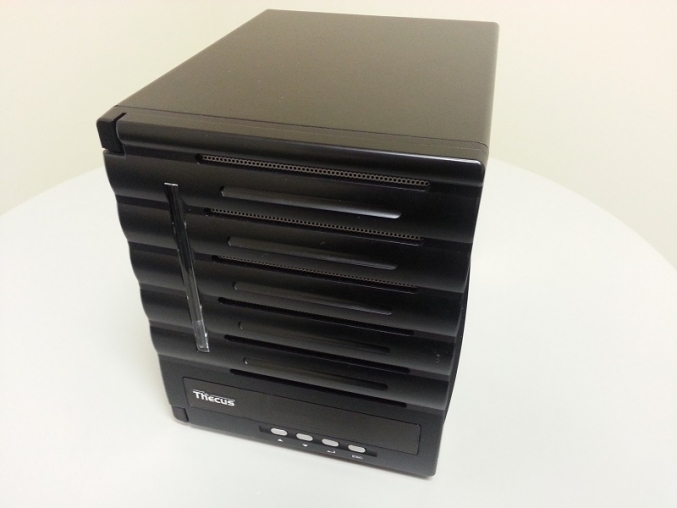 While Thecus offers products for large business to home use, today we will be taking a look at the N5550, which is targeted for SMB (Small/Medium Business). 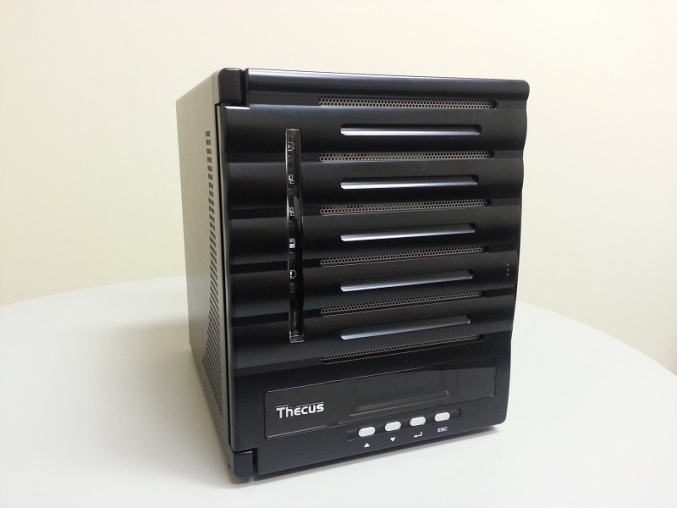 In the Tower (as opposed to rackmount) SMB product category, Thecus has NAS devices with 2 to 7 drive bay configurations, and these units will also differ in CPU speed and pre-installed memory. Also, since this is targeted for the SMB market, the N5550 has features such as iSCSI Thin-Provisioning, RSync Backup, and User quotas. With the hardware specifications, I was immediately surprised to see that Thecus went with a lower clock Atom process, in comparison to other 5-bay offerings from other vendors. It will be interesting to see if this has any impact on performance. Also, with the prevalence of USB 3.0 devices these days, it would have been nice to have more than a single USB 3.0 port on the N5550. The availability of an HDMI, VGA, and Audio ports, this is not something we see on some competing offerings from other vendors, especially products offerings targeting the SMB market. Having the ability to directly attached a monitor, keyboard, and mouse is a nice option. For the most part, the included items are pretty standard fare for products in this category, however Arconis True Image and an HDD compatibility guide are welcome additions. 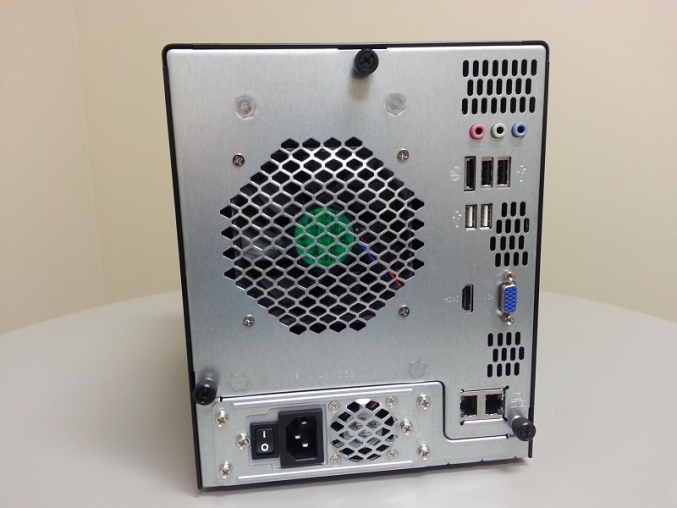 Aside from that, you should have everything you need to get the Thecus n5550 up and running right out of the box.